When your appliances aren’t working, it’s difficult to go about your day as planned. Whether you’ve got a refrigerator on the fritz or a stingy ice machine, finding time to fix your broken appliance can be a hassle. That’s where our skilled appliance repair technicians at Mr. Appliance of Canonsburg can help you out. We have experience with a wide range of appliance types and brand names, and we always strive to offer prompt, courteous service. 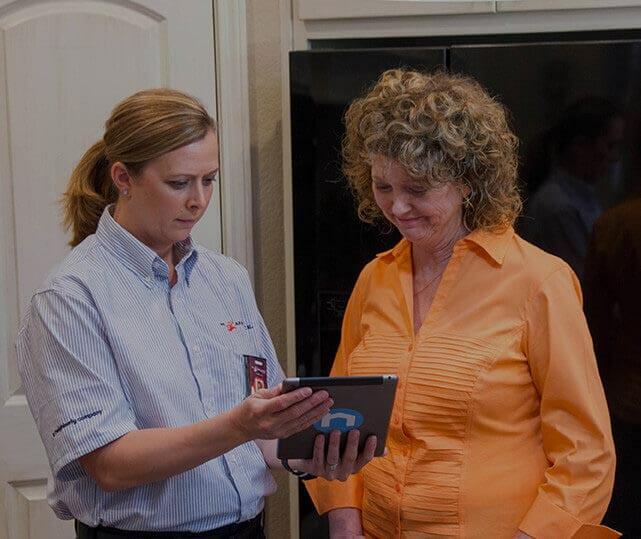 Servicing both local businesses and home-owners, our McMurray appliance repair ​​​​team is ready to get the job done right! Interested in learning more about our appliance repair services in McMurray and Canonsburg? Just call (412) 376-4246! There’s a reason Mr. Appliance has gained a national reputation for top-tier customer service. We treat your home as if it were our own, taking the time to ensure that no mess is left behind after we work. By providing up-front quotes and honest pricing, we also make sure that your McMurray appliance repair job doesn’t break the bank. Finally, we respect your time. Unlike some appliance repair services, we show up when we say we will – and we work as fast as possible. From your first estimate to the final finishing touches, we’ll make sure that you’re satisfied with our work. When you need residential or commercial appliance repair, contact Mr. Appliance of Canonsburg at (412) 376-4246 to schedule your service in McMurray or Canonsburg!